Universal Pictures has confirmed it plans to release more Bourne films, following the recent Bourne Legacy. 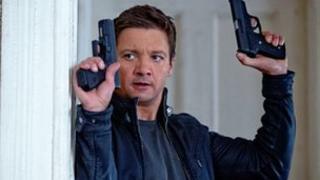 The fourth instalment of the action thriller series, which starred Jeremy Renner, received mixed reviews. But speaking at a media conference in Los Angeles, chief executive Steve Burke said the studio would focus more on film franchises in future. He added the studio planned to begin work on a sequel to Seth McFarlane's hit film, Ted, "as soon as we can". The comedy about a foul-mouthed bear has taken nearly $400m (£247m) worldwide so far, having cost around $50m (£30m) to make. While admitting the studio had some "ups and downs" this year - namely film flop Battleship - Mr Burke said he hoped to strengthen the business by promoting "as many franchises as we can". He said Universal also planned to release more animated films. Currently releasing one every 18 months, Mr Burke said his goal was to "eventually" release two animated features a year. Next year will see the release of the sequel to Universal's Despicable Me, featuring the voices of Steve Carrell and Russell Brand, which also has a spin-off film in the works.